Her name is Effie Nkrumah but she is better known simply as Benumah, her pen name. She is a multifaceted artist – she is a writer, a poet, an actress and a director – and works in the Academia. She states that her artwork always reflects her origins – for example, she promotes “multi-ethnicity” instead of other nomenclatures such as “mixed” or “bi-racial”. With her poetry, she aims at prompting people to discuss issues deeply. “It encourages them to think differently, to look at things from a point of view they may not have thought of or – dare I say – been privy to before. My work encourages people to change and search and ask questions of and for themselves”, she explains. The power of poetry, according to Benumah, resides in its openness and accessibility: “Yes there are rules, some who write it “better” than others, but it is truly for everyone”. 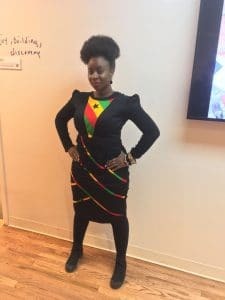 By writing poetry, Benumah’s goal is “to ask questions, express thoughts, worries, observations and wishes without having to write a paper, a script or a song”. The key factor is that audiences may identify with or learn from the poet’s experiences and feelings. 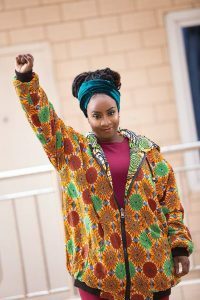 Born in Zimbabwe to Ghanaian parents, and grown up in Sydney, Benumah currently lives in Ghana and moves between there and Australia: thus, she constantly represents both places and the both sides of her essence. “When I was working in New York I felt the responsibility of representing my Ghanaian side more acutely. Simply because ignorance still exists, especially about Ghana”. When asked about the collaboration with her fellow artists from Africa, Benumah outlines a positive picture of this community. “As an artist from Australia I know how vibrant and diverse our Afro artists are. I find that these collaborations are in fact easier when we meet on common soil – such as in Ghana, in Nigeria, etc.”. That paved open walkways for us to traverse on foot through the structures of structure. Move to the right. Squeeze through that spot. What is it to realize that you pose the question that is not asked? To explain when you do not need to? and words and voice that grant the self permission. The permission to traverse without permission. Until I can say I am. Full of immense talent…Effie is an outstanding artist…keep expressing yourself Effie! Women’s poetry, women and their poetry. African women. Female poets, who entrust their stories and their feelings to their poems. On the original idea by Antonella Sinopoli. 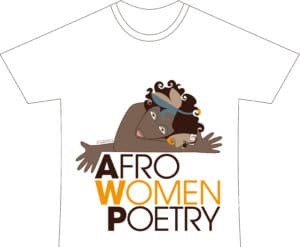 AfroWomenPoetry is a trademark under the International Nice Classification. All the content is published under CC-BY-NC-ND Creative Commons license.